It’s no secret that paper products place an enormous burden on forests worldwide — and this is especially true of sanitary paper products. 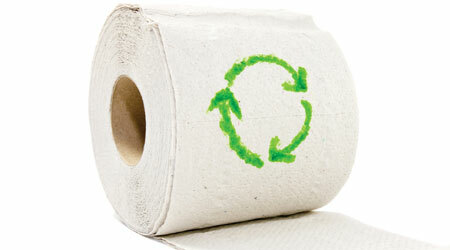 Designed for single use, towel and toilet tissue have a short life cycle that precludes recycling. Additionally, these commodities require frequent restocking and are often subject to waste. But industry is pushing back: The U.S. Green Building Council’s LEED requirements and the Environmental Protection Agency’s (EPA) comprehensive procurement guidelines call for sanitary paper products that include post-consumer recycled content. According to Ashkin, these programs also encourage innovation by driving demand for alternative fibers. Facility cleaning managers can do their part when buying paper products. First, become familiar with the terminology used to describe sustainable towel and tissue products. Second, look for products that have been certified by an independent, third-party organization.